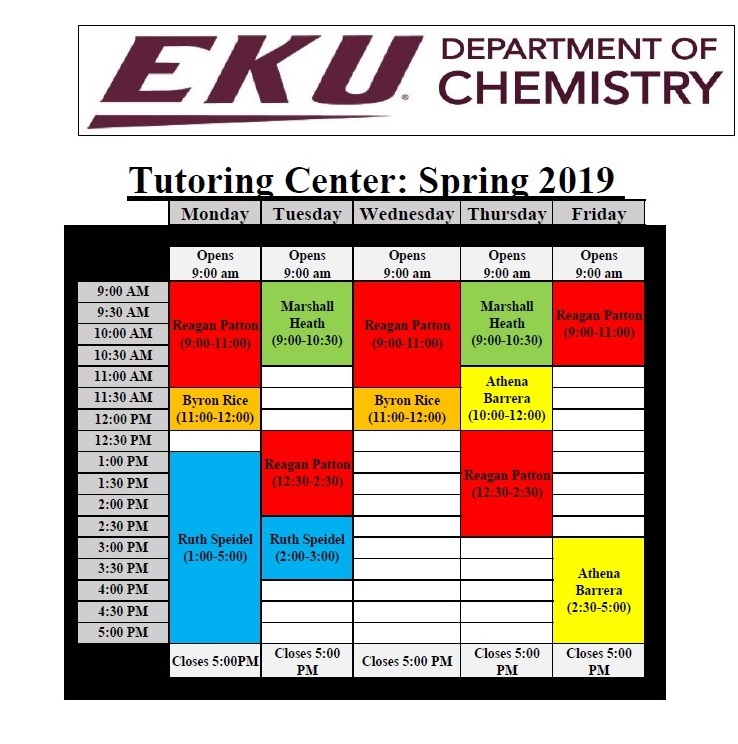 When possible, the tutoring center will be open Monday thru Friday from 9:00 am (or 9:30 am) - 5:00 pm in Science Building (East Wing) Rm 5103. Click on image to enlarge. 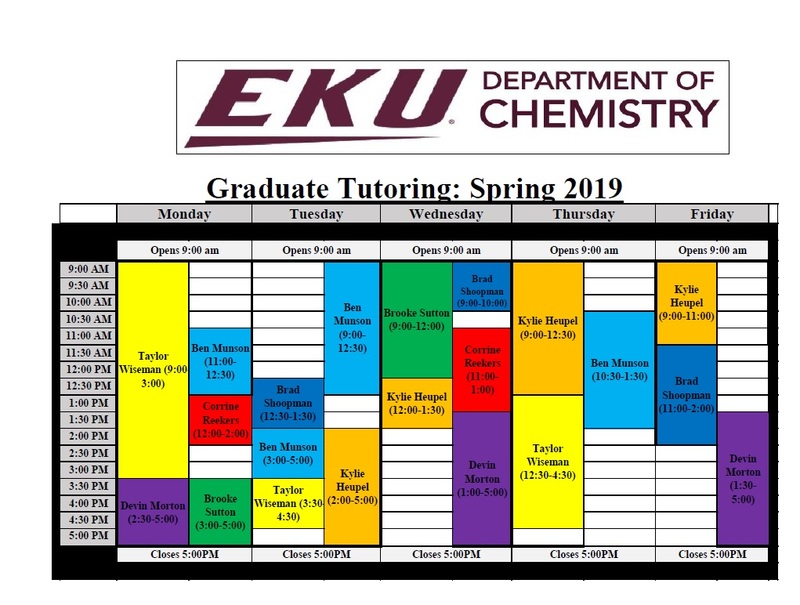 A PDF version of the schedule is available for download, please click here for document.